Three facts the Guardian didn’t reveal in their report on Jerusalem ‘settlements’. Here are some excerpts from the July 3rd report. The construction plans include proposals for Jewish buildings, such as an eight-story yeshiva, in Sheikh Jarrah, which Palestinians regard as being at the very heart of East Jerusalem. Beaumont’s penultimate paragraph uncritically quotes Peace Now accusing the Israeli government of trying to destroy the two-state solution. “The government is brutally attempting to destroy the possibility of the two-state solution, and this time it is by establishing a new settlement at the heart of a Palestinian neighbourhood in East Jerusalem and promoting nearly 1,800 housing units beyond the Green Line,” they said in a statement”. 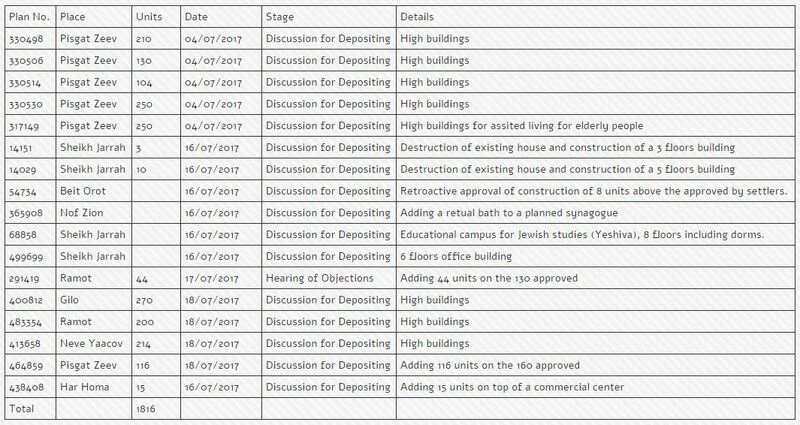 An overwhelming majority of the proposed new construction is planned in existing Jewish neighborhoods, such as Pisgat Zeev, Gilo and Ramot. The official announcement from the Jerusalem Municipality – which, presumably, Beaumont also received – noted that the new proposed construction would also include 114 new Palestinian homes in Jerusalem. Here’s the table published by Peace Now. These errors and omissions represent a pattern by Beaumont, in which he fails to distinguish between homes built within existing Jerusalem neighborhoods and West Bank settlements (which would almost certainly become part of Israel in a peace deal) and those built on land Palestinians claim as part of their future state. 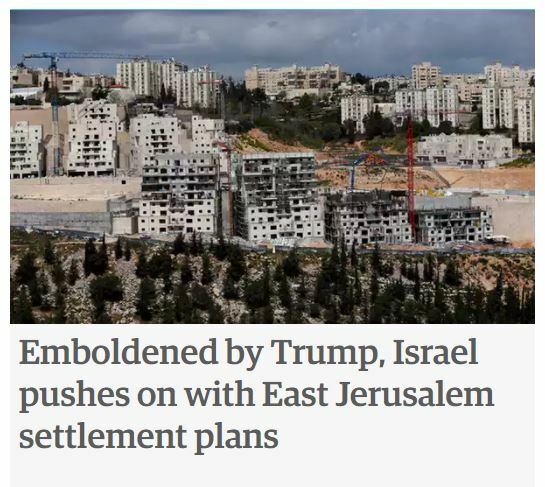 Settlement construction within the former category can not fairly be characterised as an ‘impediment to peace’ – representing another example of vital context on the conflict that the Guardian fails to provide. The Guardian is a filthy Jew hating rag and a worse disgrace to journalism than CNN. But all the readers here oppose a ‘future peace deal’ …..
And your next sweeping and ill-informed generalisation is..?